This past summer while visiting friends in Baton Rogue, LA on one of our late night WalMart adventures, I discovered in the book section something I’d noticed before but never worked up the nerve to actually purchase. 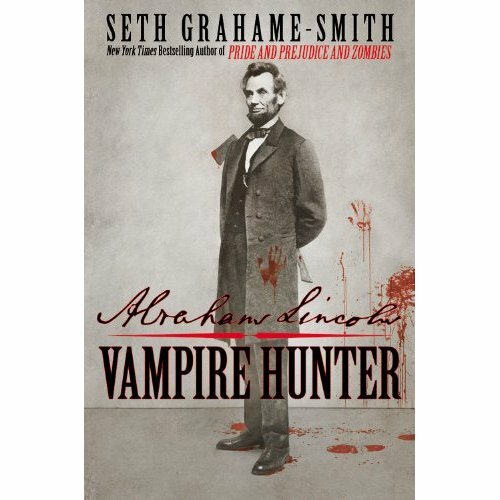 Abraham Lincoln: Vampire Hunter is written by Seth Grahame-Smith (Pride and Prejudice and Zombies) and after putting down his New York Times Best Selling classic retelling after only 6 pages, I wasn’t quite sure why I decided to put my faith in this book. I must admit I took a leap of faith, and I would NOT be disappointed. If you want a book that immediately jumps into your typical stake driving, holy water flinging, blood sucking battles then do yourself a favor and pass. After all, it is based on one of the most recognized figures in American History. We all know the man that was President but his early life may be a mystery to many of you like it was for me. The author draws on the real world, fact based Lincolns life and introduces a fantasy element that makes you wonder if Vampires really do exist. The first several chapters in fact have little, if nothing at all, to do with vampires. The book is well written and balances fact and fiction well enough to keep you interested all the way through. It was one of those books I would put down, only because I didn’t want it to be over with. 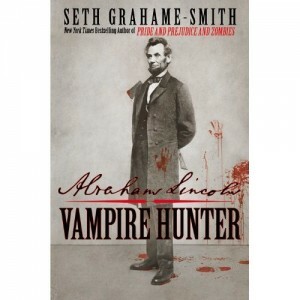 Grahame-Smith brings Lincoln to life and helps the reader connect with him in way I never thought possible. In this tale, the Vampire threat is ingrained in our past with a more Mafia like style that I’d ever previously seen in Vampire stories. They have their hands in politics, slavery and wars across the world and it becomes the duty of our 16th President to put it to an end! Thanks for the review. I too had thought this book looked interesting, but hesitated to get it. Now I just may have to check it out.